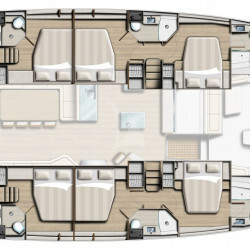 The interior salon opens up to the main deck aft cockpit, which is furnished with a sofa along the stern. 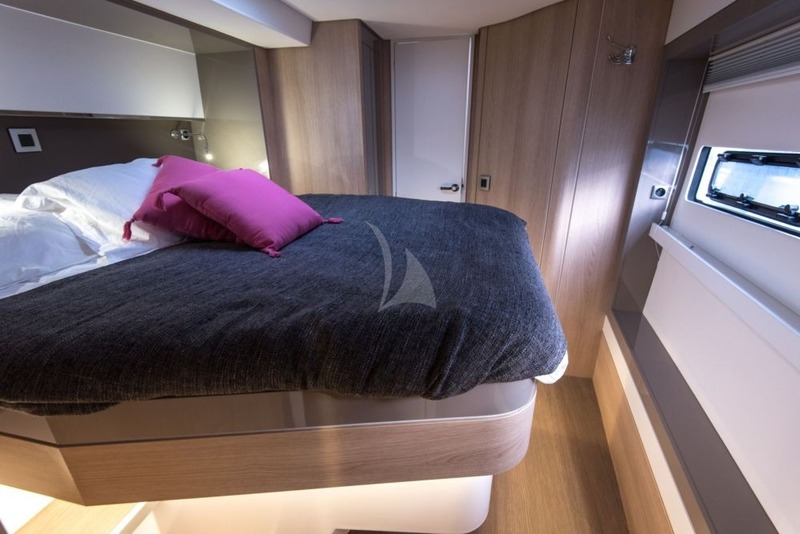 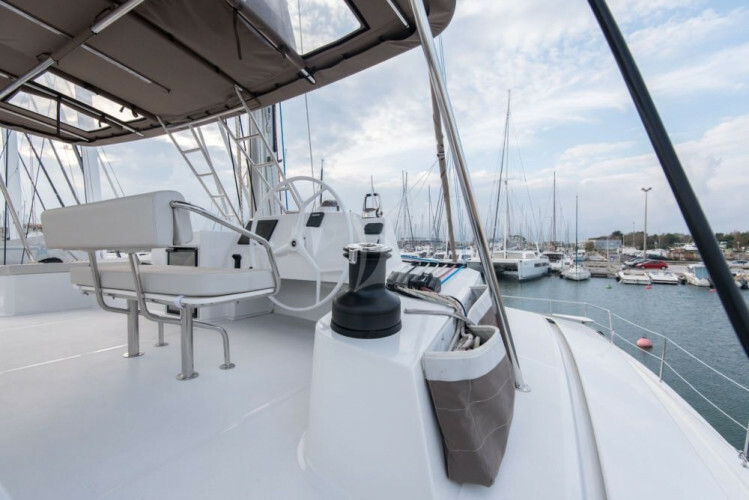 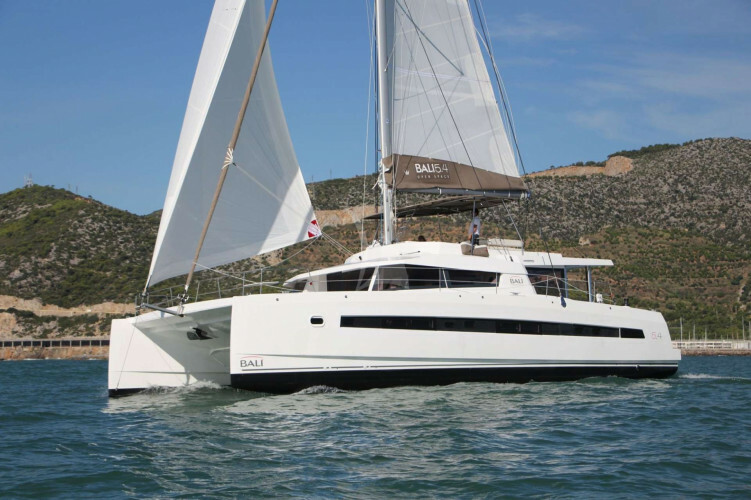 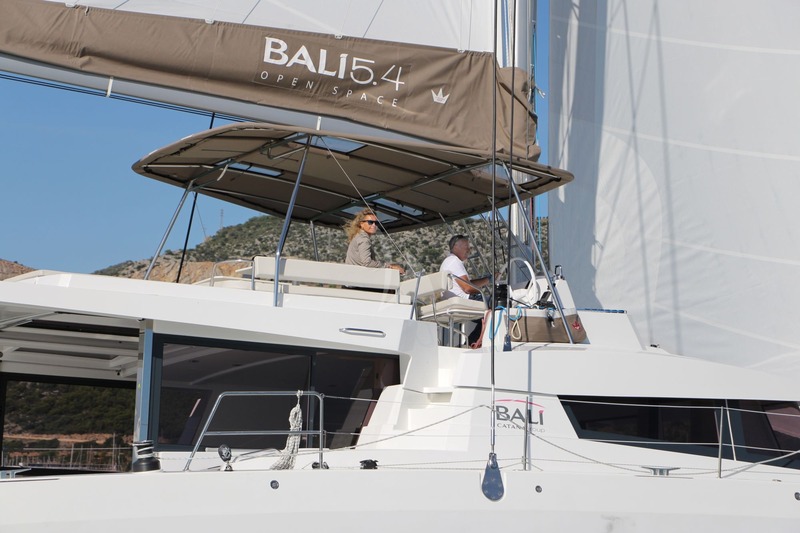 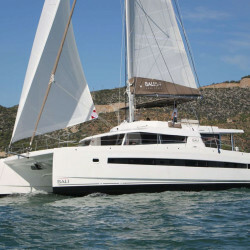 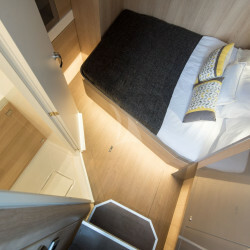 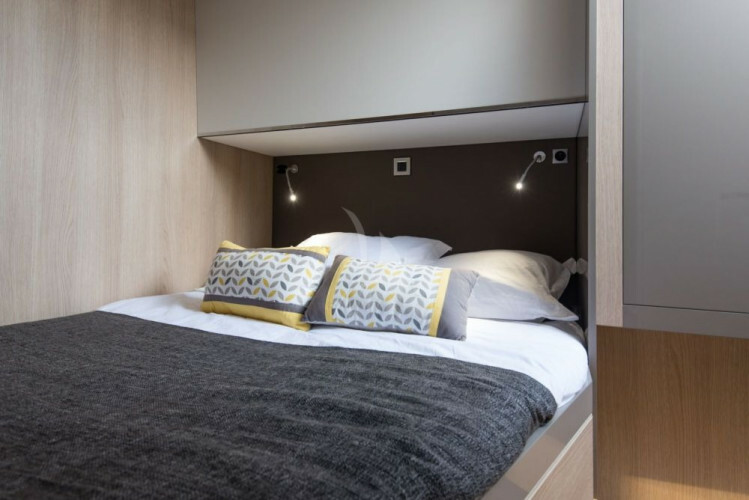 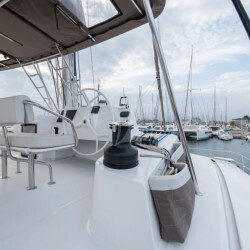 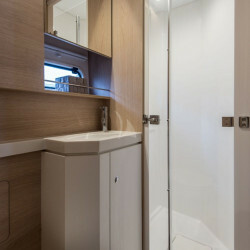 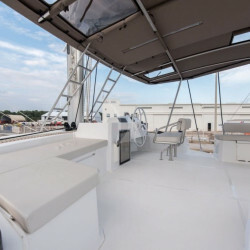 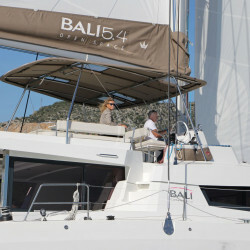 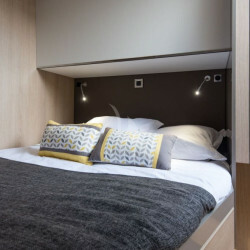 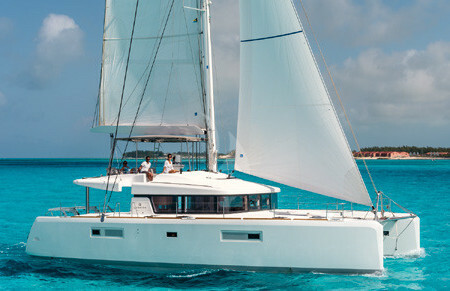 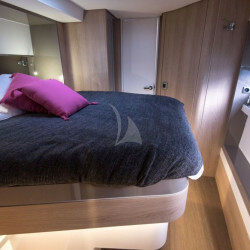 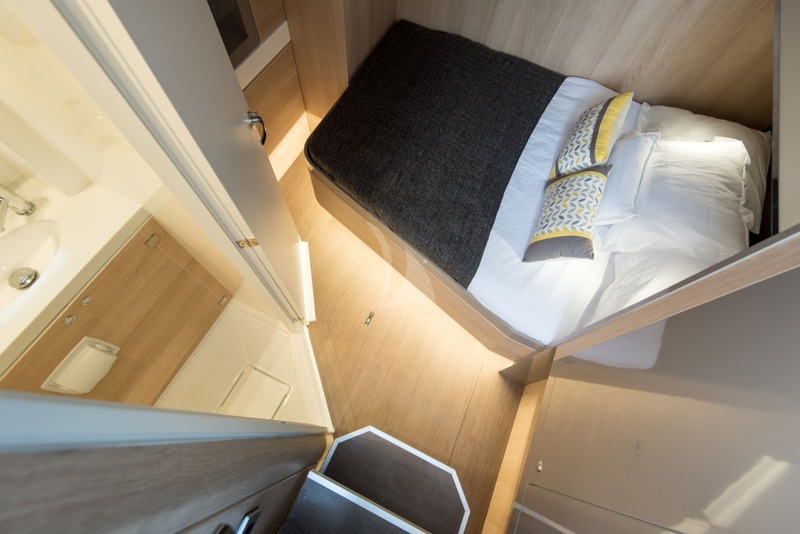 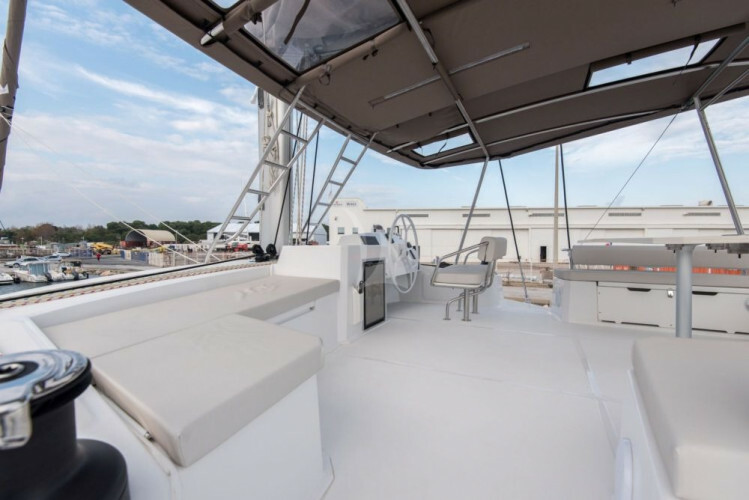 Steps lead down both hull for easy access to the water, and on the foredeck another sofa is placed in front of the helm station controls as well as two trampolines for sunbathing. 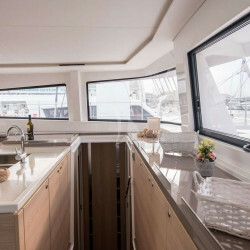 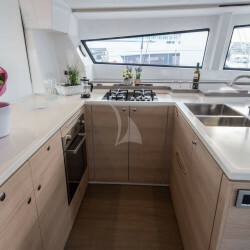 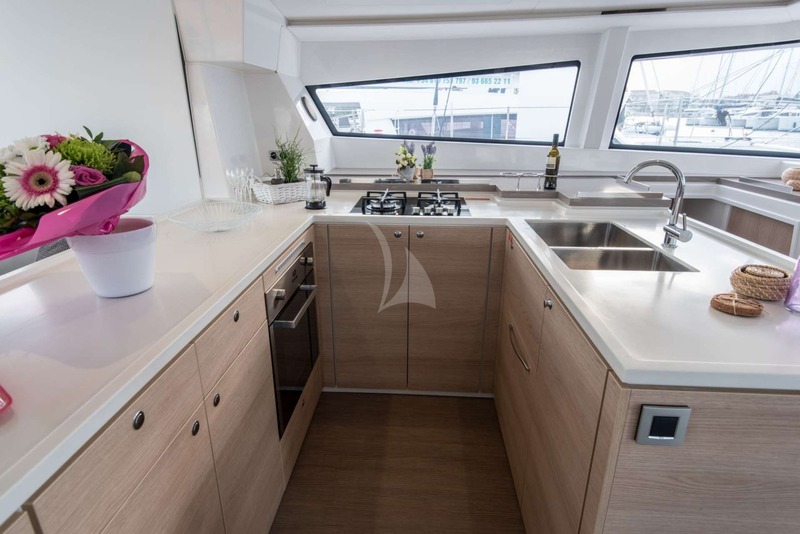 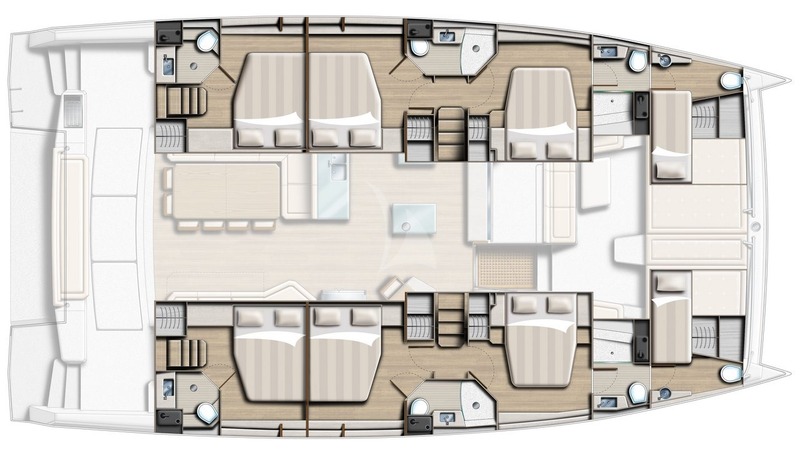 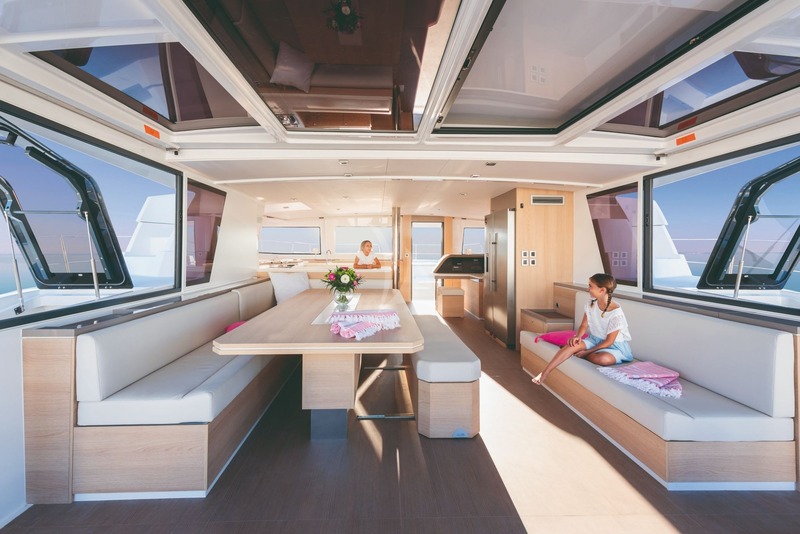 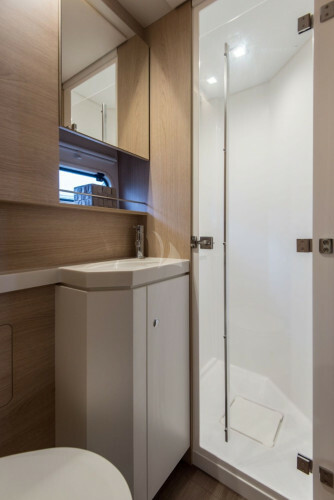 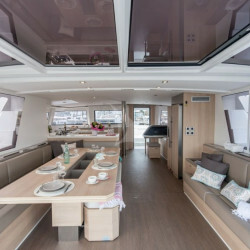 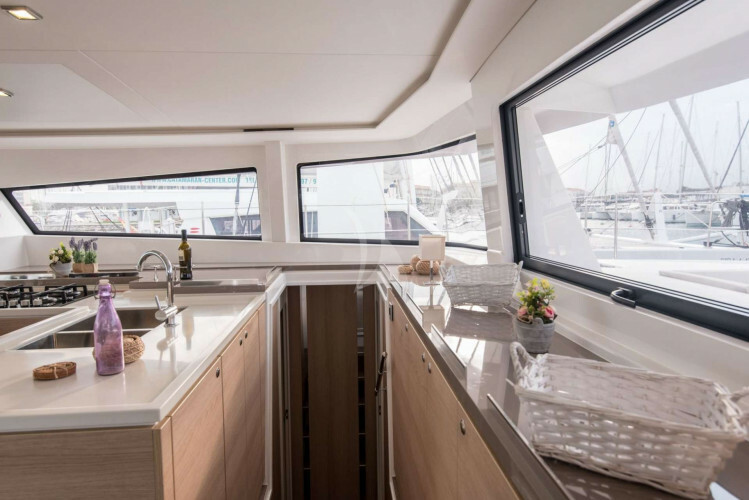 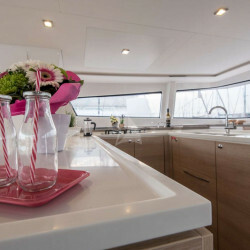 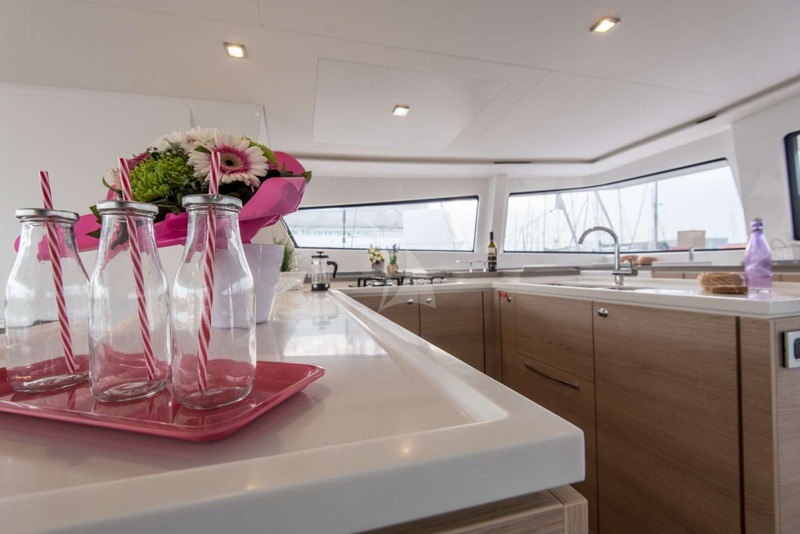 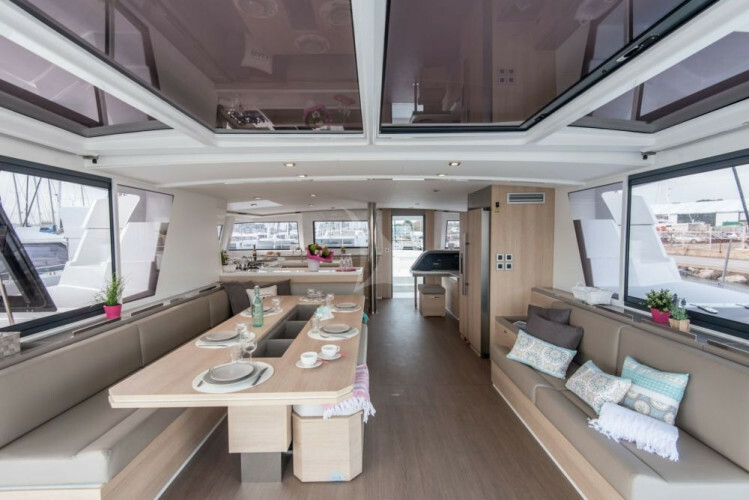 Above, the flybridge layout places the helm station controls forward to starboard with a seating area and alfresco dining table behind. 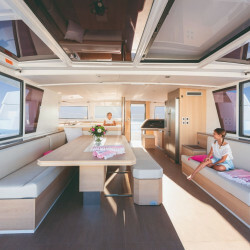 Forward to port there is a corner sofa with additional seating behind.